It is light weight, built with robust materials, compact and easy to install. Minimal maintenance is required. 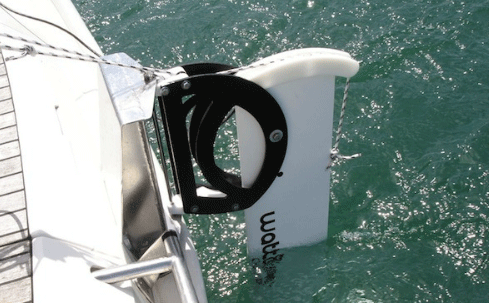 Effective at speeds ranging from 3 to 20 knots, its simple assembly is carried out on the transom thanks to a lifting system found on sailboat rudders. 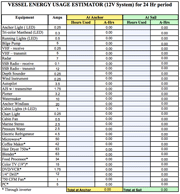 Power : 120W at 5 knots (10A - 12V or 5A -24V) that's an incredanle 240 amp-hrs a day! 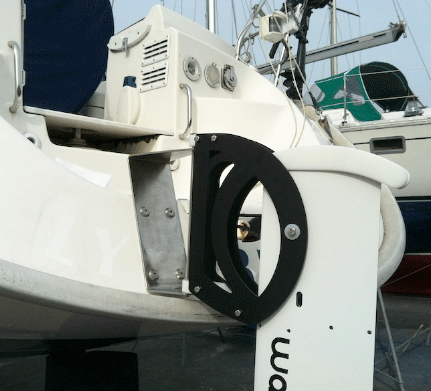 Standard Prop is 240mm standard (Optional 280mm prop recommended for slower cruising boats). Specify at time of order. Please call us to request a quote for this product.